Joel M. Evans, M.D., a board certified OB/GYN, is the Founder and Director of The Center for Women’s Health, where he practices Integrative Obstetrics and Gynecology. He is also the Chief Medical Officer of Liiv.com, a start-up technology company funded by Eric Schmidt and Jim Held designed to provide the latest health information to health care consumers, physician offices and the enterprise market. His book on the holistic approach to pregnancy, The Whole Pregnancy Handbook (Gotham, 2005), has received widespread critical acclaim and media attention. A frequent lecturer on Holistic Health Care, Dr. Evans is an Assistant Clinical Professor in the Department of Obstetrics, Gynecology and Women’s Health at the Albert Einstein College of Medicine. 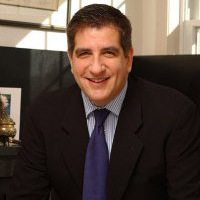 He is a Founding Diplomate of the American Board of Holistic Medicine and recognized as the first physician in Connecticut to be Board Certified in both Holistic Medicine and Obstetrics and Gynecology. Dr Evans serves on the editorial advisory board of Bottom Line/Women’s Health and as a peer reviewer for Alternative Therapies in Health and Medicine. He is a member of the senior faculty of two of the most recognized and prestigious teaching institutions in integrative medicine: The Center for Mind/Body Medicine and the Institute for Functional Medicine. This spring (2011) he was the external lead physician in the creation of the IFM Advanced Practice Module in Hormone Health. He is a former Director of two nationally known organizations focused on pregnancy, Childbirth Connection and the Association for Prenatal and Perinatal Psychology and Health. Dr. Evans also helped create a clinical study at Columbia University Medical Center on the use of the herb black cohosh in breast cancer, which was presented at the 2001 Annual Meeting of the American Society of Clinical Oncologists and later published in their journal. His most recent accomplishment is the publication of a chapter in the textbook Integrative Gastroenterology entitled “Premenstrual and Menstrual Exacerbation of IBS: An Integrative Medicine Analysis of the Bi-Directional Connection between Female Hormones and Gut Health”. Having pursued studies in spirituality, metaphysics, and personal transformation for many years, Dr. Evans has recently created a core curriculum designed to share ancient spiritual wisdom with others in order to help bring health and happiness into their lives. Please view Dr. Evans' Curriculum Vitae to see the list of his outstanding accomplishments.